We begin tonight with a warning: this is going to get really bloody technical and in-depth. As I’ve mentioned a couple of times on the blog – and in part in Louise Blain’s episode this series – I got into the Final Fantasy series with Final Fantasy XIII and not the earlier installments like VII, VIII, etc. Despite all the hype for it – and that’s just for me – it turned out to be a big sodding disappointment, with XIII-2 being a minor improvement, but not by much. UFFS and RPG Site runner Alex Donaldson, however, got on the train around the same time as everyone else back in the hayday just after VII with VIII, but it would be IX that would go on to be a much more meaningful game in more ways than one. 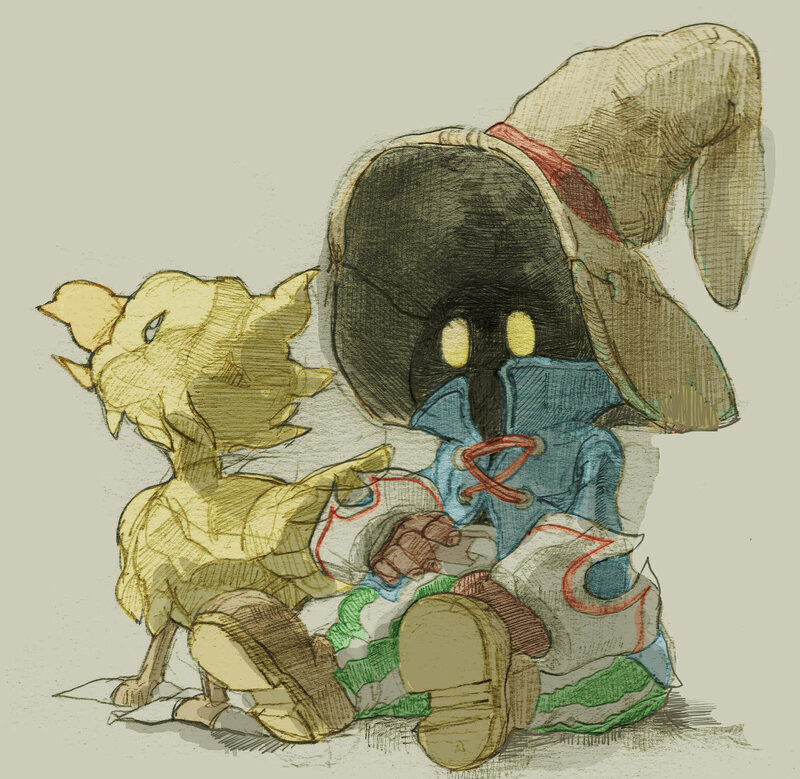 It’s, therefore, with that in mind he talks of Final Fantasy IX as his favourite game. Join us for the next hour-ish as he goes in depth on the game (seriously, he went on at one point for twenty minutes without interruption on the game! ), comparisons between my dev hero Hideo Kojima & Alex’s dev hero Hiroyuki Ito and the future for the series in the wake of September’s news that Final Fantasy XV has had an internal shake-up with Nomura out, Tabata in. Games mentioned: Final Fantasy IX, Streets of Rage, Super Hang-on, Golden Axe, World Cup Italia 90, Sonic CD, Grand Theft Auto, Sonic The Hedgehog 2, Sonic 3 and Knuckles, Super Mario Land, Super Mario Bros 3, Final Fantasy VIII, Final Fantasy VII, StarFox 64, Final Fantasy Tactics, Final Fantasy X, Final Fantasy XI, Final Fantasy IV, Final Fantasy XIII, Mass Effect 2, Guardian Cross, Final Fantasy XII, Final Fantasy VI, Final Fantasy Type-0, Final Fantasy XV, Duke Nukem Forever, Kingdom Hearts, Fable II, The Witcher III, The Elder Scrolls V: Skyrim, Batman: Arkham Asylum, Metal Gear Solid, Destiny, Final Fantasy: Crystal Chronicles – The Crystal Bearers, Persona 4, The Legend of Zelda: Ocarina of Time, Perfect Dark, Trails in the Sky, Valkryia Chronicles.